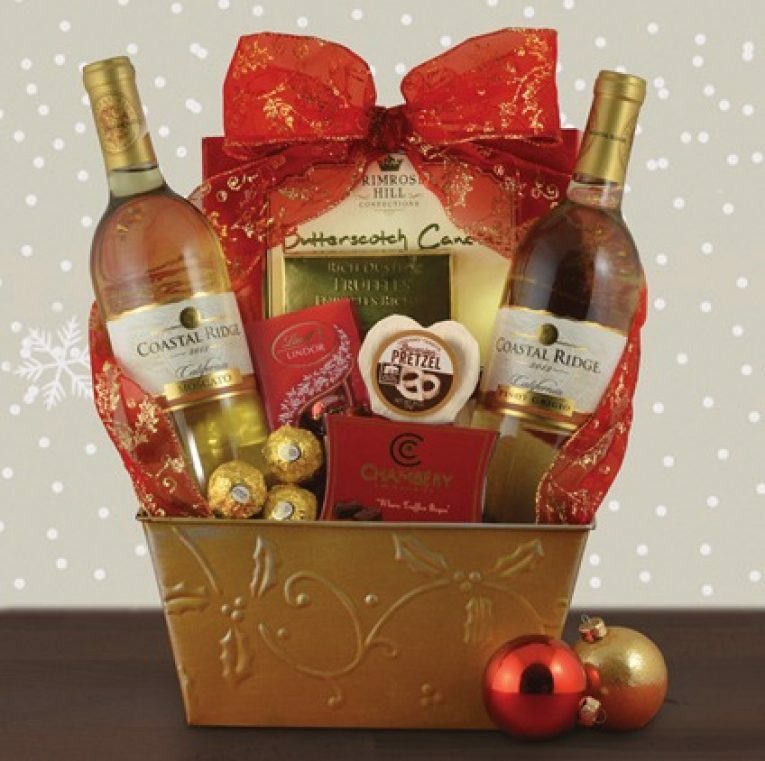 WineBasket.com is a family-owned and operated gift basket retailer that focuses on custom, gourmet and wine gift baskets. They have always strived to offer a concierge-style service to their customers – regardless of how many baskets they are ordering or how much they want to spend. Their unique approach gives them a competitive edge – especially with so many companies focusing more on the generic than the custom gift options. A gift basket retailer that offers concierge-style services for all customers. When it comes to variety, there is a surprising number of baskets to choose from at WineBasket.com. They offer everything from wedding baskets to snacks and wine gifts. They also include champagnes in some of their gift baskets as well as beer and other spirits – one of the few to include such a variety of liquors. Wines come from all over the world, including Italy, the United States, France and Chile. They do not have any non-edible gift baskets, but their variety is still fun and covers just about every need. We especially like how they create baskets for the themes – such as a birthday cake basket including cake wines and treats for a birthday recipient. Customization will depend on the basket. Some allow you to add ribbons based on the sentiment. They do not allow you to swap out items online, but you can call customer service to do so. You can also indicate an item swap in the “Special Instructions” area of the online ordering, but your price may change depending on the type of swap out you need. You can also create your own basket on their Custom Gifts section. The baskets are put together by a private team and can even include personalized or engraved items. 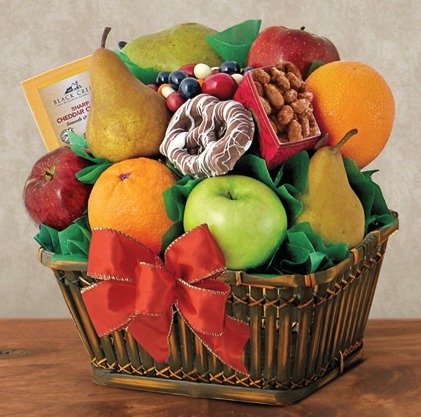 You will have to call the Custom Gifts team to order a customized basket. There are plenty of themes and sentiment-ready baskets offered at WineBasket.com. They have numerous baskets within each occasion as well. Just some sentiments they include are holidays, birthday, thank you, anniversary, congratulations, get well, housewarming, new baby, gifts for him and her, romance, wedding, etc. They also have wine, champagne, beer, and spirits-themed baskets. Corporate gifts are available through WineBasket.com. They offer custom-designed baskets for companies, including branding and personalization opportunities. They also offer corporate discounts that range from 10 to 15 percent depending on the time of the year the products are ordered and merchandise total. They also have a devoted team for just corporate and business gifts and business members can create an account for easier ordering in the future. They have a corporate department line that should be used to set up an account and place orders, but you can also place one-time orders online. Prices are relatively competitive with other gift basket retailers, but one thing we really like about WineBasket.com is that they are one of the only to offer discounts to regular customers – not just corporate shoppers. For registering an account you can get as much as five percent off your order every time you order. If you sign up for their newsletter you can also receive discounts and coupon codes to use online. Most of their baskets range from $30 to $200, but they do have some as much as $800! These baskets include multiple fine champagnes and chocolates and are literally the epitome of gourmet baskets. WineBasket.com is one of the few to offer free shipping with their products. In fact, they have a large selection that are free and still ship the same day. They also offer free shipping to their registered customers in addition to their discount prices for registered users. The baskets from WineBasket.com are expertly created and they strive for uniqueness. None of their baskets look “vanilla” and they offer a new twist, better quality packaging and even better products in their baskets. This is definitely something to note since most companies offer smaller sizes and use the been-there-done-that design. WineBasket.com always goes the extra mile for their customers. If you are ever unsatisfied with a product that you receive, their guarantee will take over. If something arrives damaged or of poor quality, they will replace it. You can also return unopened items by contacting customer service within 21 days of receipt. They do not refund shipping unless the error was on their behalf. WineBasket.com is not rated or accredited with the Better Business Bureau at this time. Free shipping on most baskets – especially if you are registered. Under $50 – There are quite a few baskets in this price range that typically include smaller sized products, but range from five to 10 items. They are simpler, but still feature free shipping. $50 to $100 – Most baskets are in this price range and can include meats, cheeses, wines, spirits, beer and not champagne. $100 to $200 – The best baskets from WineBasket.com are within this price range. These can include up to 12 or more items, hearty helpings of each item in the basket, multiple bottles of wine, spirits, etc. $200 and up – There are baskets that go as high as $800 – though these include mostly champagnes. These baskets are typically including high-quality, gourmet items, fine champagnes and wines and much larger in size. WineBasket.com is ideal for corporate and private buyers. They have a great selection, free shipping, and the ability to customize a gift so that it is truly made just for the recipient you intend to receive it. We really appreciate the “custom” feel you get with WineBasket.com. They offer a concierge-style service, which we have yet to see anyone else do. Whether you want something changed out, custom baskets made or you just want to add even more, they will make it the way you want it. The free shipping makes their prices comparable to the rest of the merchants out there – if not a little more affordable than others. We also love that they give discounts to private buyers instead of just offering corporate discounts. We wish they had a few non-edible items. Considering they offer so much wine and champagne, they could easily do a basket with spa items or something else and include a fine bottle to go along with it. 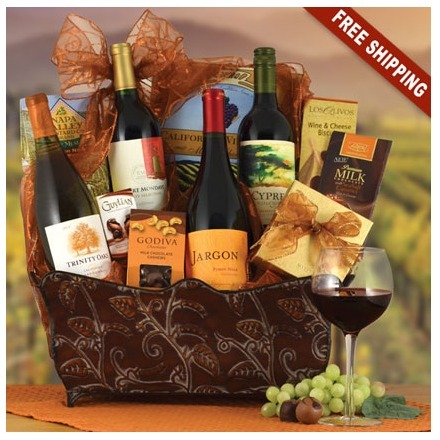 WineBasket.com is an online retailer that specializes in the “custom” experience. They offer concierges ready to craft a basket unique for your gifting occasion or recipient.